In Home Economics we cut out cute little pictures of bread rolls and fish and pasted them into the appropriate spots on the food pyramid. I understood the pyramid but I never did understand the ‘servings per day’ thing. I guess if you’ve eaten 47 serves of bread, cereal, rice and pasta in a day, you won’t have time left to eat that little piece of chocolate that you cut out and pasted at the very top of the period, or you’re not going to be able to fit it in. Once I started learning about ovulation and eat, play, sleep routines, there wasn’t room in my brain and so Pythagoras theorem, the periodic table and the food pyramid all got pushed out. Plus the food pyramid changed at some point between my Year 7 Home Eco and now. It would look pretty different if you’re on a low carb diet versus a high carb diet. Is the low carb diet just the pyramid inverted? 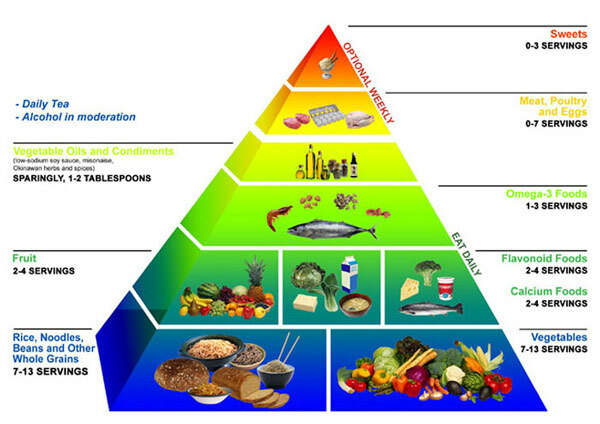 My pyramid would still have carbs as the largest section. Bring it on; all types of bread and pasta and heaps of it. I’m calling carbs one food. Cos I can. Second, most fruits and some vegetables. Because I want to be healthy in that year. I don’t particularly love them, but I do remember they’re good for you. And plenty of potatoes. So versatile. You could eat them for a year and there’d still be ways to cook them that you hadn’t got to try yet. Bircher muesli is number 3. It deserves a category all of it’s own, regardless of my #4. I’m including ‘breakfast cereals’ as a whole food at number 4. Because there are so many (a whole aisle full) and they’re all delicious and we should all just eat a bowl of cereal for every single meal and be done with it. And coming in at number 5, Maltesers. But my pyramid is a rectangle standing on its end. Equal servings of carbs, fruit/veg, bircher muesli, sugary boxed cereal and Maltesers. Please note: coffee, tea, beer and wine can not be included in this list as they are not foods. You should have as many serves of them as you like during the year. Very worthy of being in a food group of their own! I am with you on the carbs front too. I would like a 5C’s diet. Carbs, coffee, chocolate, cauliflower & cheese. Thanks Jacq! I like your 5C diet – I hope the cheese is to go on the cauliflower though. I think this might be cheating, but you can keep your bircher bird seed, actually that probably isn’t a real human food, it can be under bird seed. Rolled oats soaked overnight with juice and mixed with creamy yogurt? Loaded with berries, oh man, I’d love to be a bird in your house. YOUR LIST ROCKS! Love your approach to drinks! I love a funny cheat!! I just don’t know what to say …. Since 2D shapes is the core of this post, and since your pyramid is rectangular shaped, I’m declaring mine a rhombus – a squished square shape because some days that how my body looks (and feels)!! We all have those days, Christine. Especially after finishing that box of Maltesers. i love carbs – but recognise the inability of my body to use the amount I consume these days, so it had to stay off my list. I wouldn’t like to be coming up with a list for real and sticking to it for a year!